If you landed on this page, then you’re clearly trying to find out what the top air purifiers are you can buy for your home or an office. It’s also safe to assume that you don’t want to waste countless hours of searching through hundreds of websites just to find the best rated air purifiers that fit your specific needs. 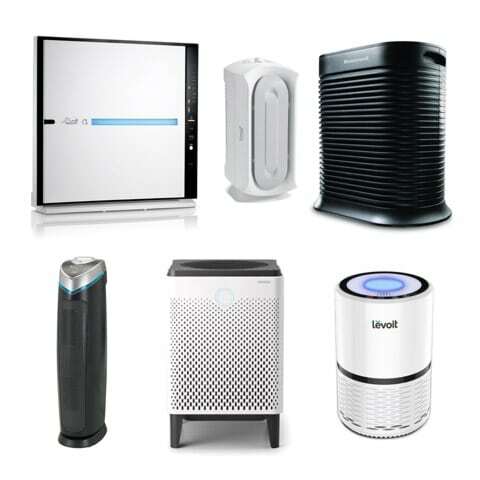 On this page, you’ll find everything you need to quickly make the right decision on which air purifier to get. Below, you’ll see a list of the top 10 air purifiers for 2018 that continue to outsell any other products in the market. This guarantees that no matter which one you choose, you’ll enjoy a great long-term investment. Also, under each product listing you’ll discover what features make each air purifier a top seller. As you’ll see, every device has its own unique set of features that helps it stand out from the rest of the pack. Certain aspects will be more attractive to you than others, so this will help you narrow down your choice for which one to get. Finally, just pointing out the positive aspects for each of the recommended air purifiers won’t help you make the best decision. So, we also share some of the disadvantages of each air purifier that you may want to consider. We hope this list of the top rated home air purifiers is exactly what you’re looking for and that it not only saves you time trying to find the right device but also helps you get the most value for your money! If we had to pick the best rated air purifier out of all of the others on this list, this would be the clear winner. 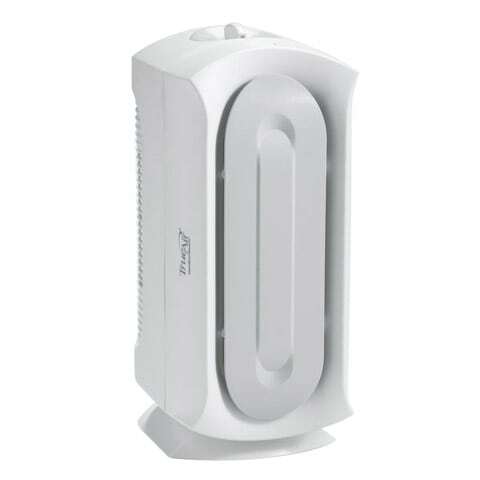 We consider it the best home air purifier system available due to its wide range of features and air cleaning power. Pre-filter – To capture the largest particles and prolongs the life of the other filters. Medium Filter – Traps large allergens and dust particles. BioGS HEPA Filter – Extra-long life version of a True HEPA Filter that captures the tiniest of all allergens, dust, pollen and mold particles. Lasts up to 3 years. Customized Filter – Let’s you customize the product to suit your specific needs. Choose between enhanced germ defense, toxin absorption, pet allergies or odor elimination. Ion Generator – Creates an ionic field to neutralize airborne contaminants without producing ozone. 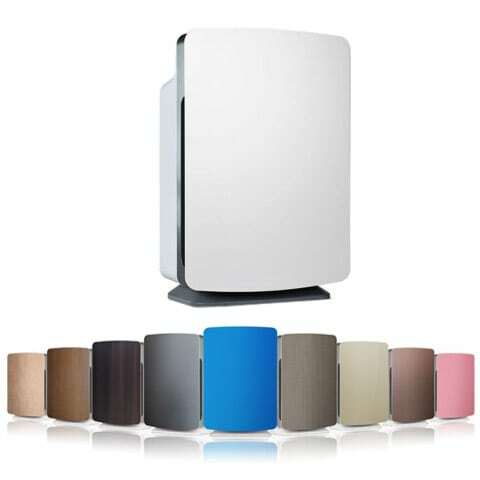 Another reason this is the best overall air purifier is the fact that you can customize the front panel in both color and/or design. Many different artistic design choices are available to suit your taste. And, since it’s wall mountable, this device can be camouflaged as a piece of art inside a room. The only downside is that it’s one of the more expensive options out there. If you can afford it, however, we highly suggest that you invest in this air purifying machine. 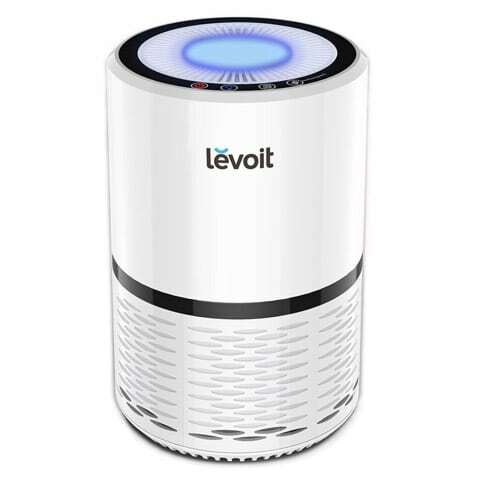 This Levoit compact air purifying device is a great buy for anyone who is looking for convenience. Its small size makes it ideal for both personal air purification use at home or at work and while traveling. 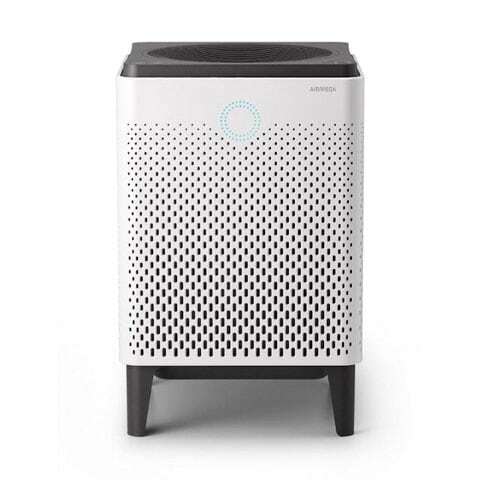 The major advantage of this top rated air purifier is that it uses a 3-stage Air Filtration System that includes a True HEPA Filter, Activated Carbon Filter and Pre-filter. This product also includes a nightlight with two brightness settings, which makes it a great air cleaning device for the bedroom. 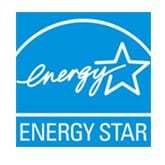 If you weren’t already aware of this fact, Honeywell is the #1 brand recommended by allergists. 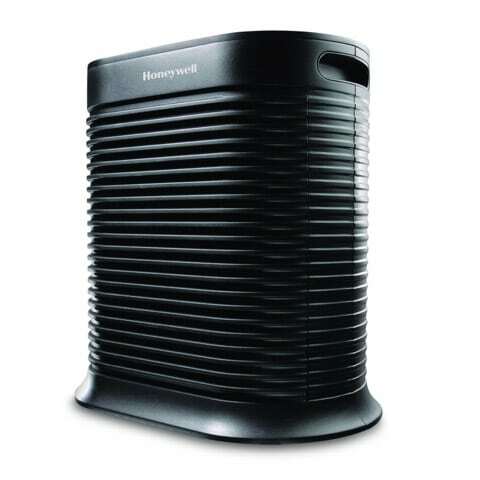 Therefore, it’s no surprise that this air purifier made it onto our top 10 list. 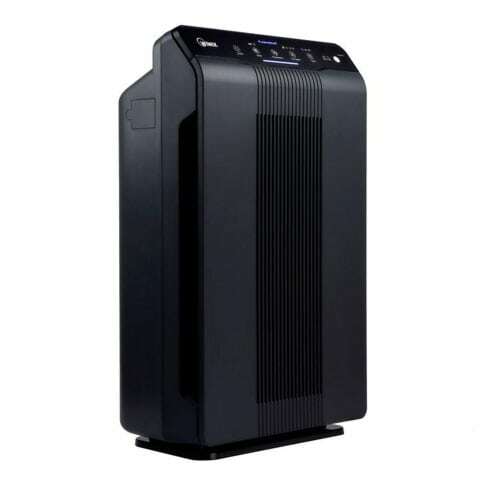 Like other air purifiers on this page this product uses a powerful True HEPA Filter and Carbon Filter to clean the air of dust, allergens, smoke and odors. It can handle a very large space up to 465 sq. ft.
Our favorite features, however, are the automatic shut off timer with 2, 4 and 8 hour intervals, easy tap control buttons and turbo fan mode. Our only complaint used to be that the filter replacements were too costly, but now they’ve become quite affordable. The estimated cost is around $40 for a 3 pack. 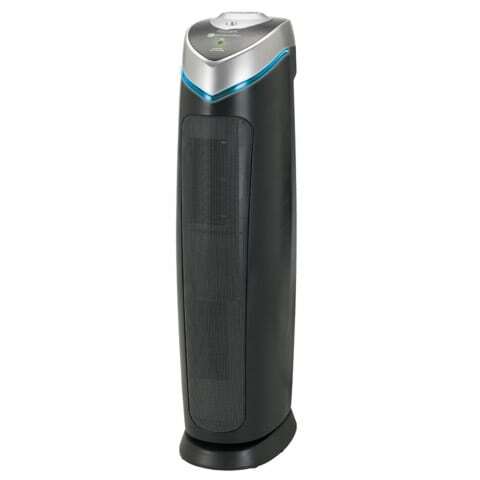 This Winix air purifier is a top rated air purifier because it uses a patented PlasmaWave technology not found in other air cleaners. This innovative feature offers the same air cleaning advantages of an ionizer but doesn’t produce harmful side effects or ozone. PlasmaWave is the safest technology of its kind on the market and for the price, this is the best air purifier under $200. Not only does it use a True HEPA Filter to remove 99.97% of dust and allergens from your home, but the PlasmaWave technology goes one step further to eliminate other toxic contaminants. This feature is a safe method of killing bacteria and viruses that don’t irritate allergies or asthma symptoms, something that ionic air cleaners are guilty of producing. A Carbon Filter is also included to help reduce smells and smoke. The most notable feature, however, is that it includes a smart sensor that monitors the air quality within a room and automatically adjusts itself to maximize the air cleaning power. Finally, this Winix air purifier is capable of handling large rooms up to 360 sq. ft., which is perfect for most home applications or office settings. This product ranks high on the list of best rated air purifiers because it offers something not many other devices provide – Smart Enabled Features. What makes this product so popular is the fact that you can control every aspect of it from your iOS or Android device. It also has a real-time air quality monitoring system so you know exactly how fresh or polluted the air is around you. This machine uses an advanced set of air filters – True HEPA and Activated Carbon – that are capable of capturing 99% of volatile organic compounds (VOCs) and 99.97% of all other pollutants. This rating is one of the best in the industry. Another upside to this air cleaner is that the maximum air purifying coverage is 1,256 sq. ft., which is great for most any home application. The downside is that all of these benefits add up. This product costs more than others listed on this page, but you may find that it’s worth every penny because of its capabilities. If you have pets and want an air purifier that can both freshen the air and remove pet hair, then look no further than this compact air purifier. At last count, it had more than 2,800+ reviews by consumers and continues to be one of the highest rated air purifiers. This device uses a Permanent HEPA-type Filter that can be cleaned with a vacuum and doesn’t need to be replaced. This saves you a considerable about of money. It also includes two Carbon Filters for odor control. These can’t be vacuumed and will need to be replaced over time. Although it costs slightly more than the other top air purifiers in its class, it does outperform for maximum room coverage. It can handle a space up to 160 sq. ft, much larger than other compact air purifiers you’ll find. This is a solid investment for any pet owner and will continue to rank high on top 10 air purifiers list. If we had to give one complaint though, it would be that we wished there was a larger version available. This is another Winix air purifier that continues to show up on lists for top air purifiers and is great for pets and dust. 5-stage Air Cleaning System with two Pre-filters, True HEPA Filter, Carbon Filter and PlasmaWave Generator. No airborne pollutants can escape this device. Specially Designed for Pet Owners to eliminate microscopic pet dander and hair that cause allergies and breathing problems. Two Smart Sensors that individually monitor the room for an increase in odors and dust, which adjusts the unit automatically to quickly remove these types of contaminants. A Light Sensor that puts the device into a sleep mode when you’re asleep or the lights go dim. If we were to give one criticism against this air cleaner, it’s the fact that it can only handle a space up to 300 sq. ft. For the price, you’d expect it to cover a larger room area, but the additional air cleaning stages do make up for this loss. It’s an excellent air purifier for pet owners and you won’t find any other product at this price that’s as effective at removing all types of dust and allergens, including stubborn pet dander and hair. Month after month, this continues to be one of our picks as the best home air purifier you can buy for personal use. Why is it so highly rated? 4-stage Air Purification System – Includes a Pre-filter, True HEPA Filter, Carbon Filter, and Ionizer to eliminate the widest range of pollutants and odors. Eco Mode – Unlike other air purifiers that run 24/7 even when the air is fresh, this product cuts off when it senses the air is clean – making it extremely energy efficient. Long Filter Life – The HEPA Filter is outstanding and lasts up to one year. The Carbon Filter is good for about 6 months before a replacement is needed. Two Color Choices – Black or White. 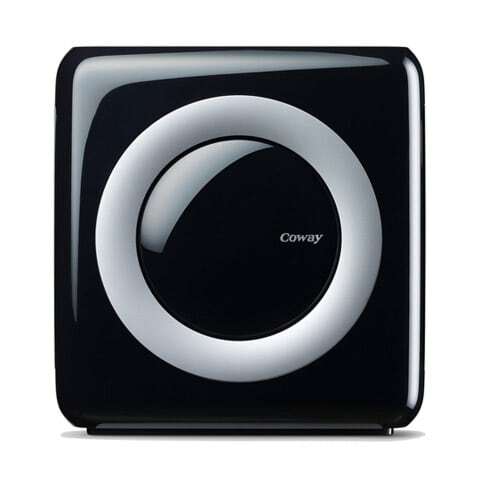 The Coway Mighty Air Purifier is excellent at not only removing dust and allergens but also reducing household odors, mold and bacteria. Plus, it has enough power to handle a large space up to 360 sq. ft. The only negative aspect of this machine is that the air quality sensor light on top can’t be turned off. If you find that the light is too bright at night then you may want to cover it with a piece of black tape or cardboard. Other than that, it’s the best value air purifier you can get. What makes this product so attractive is the fact that it uses a 3-in-1 Air Cleaning System that tackles airborne pollutants of all types – making the room it’s placed in a sterile, healthy environment. True HEPA Filter – Captures 99.97% of microscopic allergens, dust and mold spores down to 0.3 microns in size. This is the optimal filter for people who suffer with allergies or asthma. Carbon Filter – Reduces odors caused by pets, smoke and cooking, so rooms smell fresh. UV-C Light – Kills bacteria and viruses that otherwise would cause health issues. This air cleaner is excellent for small to medium-sized rooms and can purify a space up to 193 sq. ft. For most personal applications, this is an ideal size, and with its lightweight and vertical design, it can be moved from room to room and fit practically anywhere. The only common objection people have about this product is that it tends to emit a plastic smelling odor during the first 48 hours of use. This is worth knowing if you’re extra sensitive to odors. If you’re looking for a fully customizable air purifier that can also handle a very large space then you’ve finally found it. 4 HEPA Filter Types – To meet your specific air quality needs. Choose between Pure (allergies), Silver (asthma), FreshPlus (smoke and heavy chemicals) and OdorCell (pet and baby odors). 14 Front Panel Colors and Designs – To match your personal style and fit in with existing home décor. Includes white, blue, brushed bronze and stainless, black, rosewood, natural maple and more. Another top feature is the Smart Sensor with a colored light indicator. It measures the pollutants in the air and automatically adjusts the air cleaning power to save on energy and extend filter life. This air purifier is also one of the most powerful on this list. It can clean the air within a space up to 1,100 sq. ft., making it the perfect device for a large room, a basement or even an office. While the price is a little higher than other products on this page, it does make a great investment if you want a truly personalized air purifying device. For that reason, it’s tough to beat. Not everyone has the time or desire to sift through numerous ratings and reviews in order to discover which brand or model air cleaner is the top choice or the right fit. Therefore, this page was specially created to help people like you find the right air purifier for your needs in a quick and efficient manner. We hope that this list of the best home air purifiers has been a valuable reference for you and that the detailed information above for each recommendation was sufficient to help you make a good buying decision. 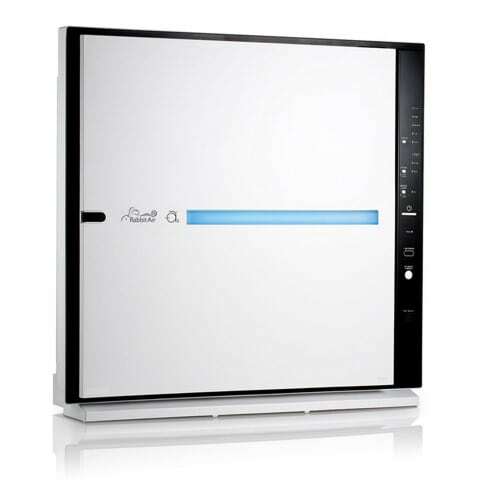 If you want to learn more about any air purifier on this page, additional information can be found in our air purifier product reviews section. 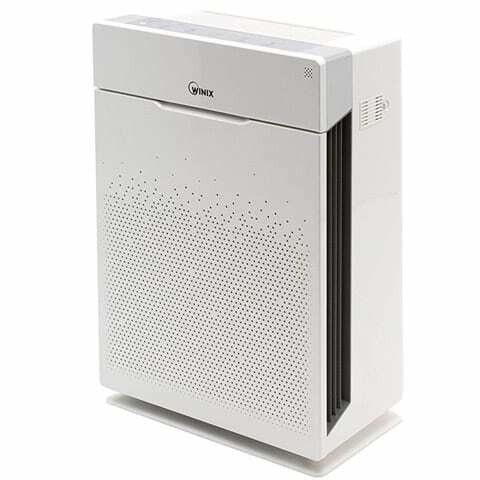 Every air purifier on this top ten list has been thoroughly rated, reviewed and compared to its closest competitor on our site and a complete list of brands and models can be found in that section. Along with each recommendation, we tried our best to include a brief explanation of the stand out features so that you know what makes each particular device valuable. For some people, those short details are all they need to make a wise decision, but for others, they may want to know more about what a particular feature means. Below is a list of all of the terminology used on this page regarding air purifiers and their definitions. 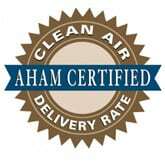 Pre-filter – An essential feature of air purifiers that use a HEPA style filter. The pre-filter prolongs the life of the main filter by preventing large particles from damaging it and wearing out the filter faster. Most pre-filters are washable and reusable and last a lifetime. True HEPA Filter – This is the highest standard air filter you can get for an air purifier. In order to carry this label, the filter must meet strict regulations set by the United States Department of Energy (DOE) and capture at least 99.97% of particles as small as 0.3 microns. BioGS HEPA Filter – This filter is a more advanced version of the True HEPA filter. It’s specially designed to reduce the build-up of particles on the filter that degrade it over time. If maintained properly, a BioGS HEPA filter can last anywhere between 18 months to 3 years. HEPA-type Filter – This filter is a lower quality version of a True HEPA filter and doesn’t meet the standards set in place by the U.S. DOE mentioned above. It could capture particles as small as 1 micron, 2 microns, 5 microns or larger. To know for sure, you must read the fine print on the product specifications. Activated Carbon (or just Carbon) Filter – This filter is very porous and has a large surface area, which gives it the capability to absorb odorous particles and gases. No other filter can remove the smells produced by smoke, pets, cooking, chemicals, mold, etc. as well as this one. Ion Generator (or Ionizer) – This technology emits negative ions into the air as a way to clean it. Particles like dust, bacteria, and allergens are positively charged and these negative ions form a bond with them. Once bonded, those contaminants become too heavy to stay in the air. Ionizers don’t require filter replacements, because they don’t use them, however, some products do have electrostatic collection plates that collect these fallen particles. Electrostatic collection plates can be washed and reused. UV-C Light – The UV in UV-C stands for “Ultra Violet.” Ultra Violet light is part of the electromagnetic spectrum that makes up electromagnetic radiation, which includes light, radio waves and x-rays. UV-C is a sub-band of UV light and is a powerful form of radiation that kills microorganisms, but is completely harmless to humans. Ozone – Ozone is a highly reactive molecule that is known for killing bacteria, viruses and removing odors. However, the same chemical properties that allow it to react with organic material outside of the body is the same thing that can cause it to harm human health. Certain levels of ozone exposure can cause decreased lung function, chest pain, shortness of breath, coughing and irritation of the throat. PlasmaWave Technology – This technology safely destroys airborne pollutants without causing harmful ozone. As filtered air is leaving the air purifier unit, it passes through a type of electric pulse that creates positive and negative ions. This puts air in a plasma state. Once this plasma combines with water vapor, it forms hydroxyl radicals. Hydroxyls attack pollutants like germs, bacteria, viruses and chemical gases, and once destroyed, the hydroxyls reform into harmless water vapor. Smart Enabled Features – This allows the air purifier to be controlled by a mobile device using an associated app. Things like schedules and timers can be set up as well as tracking the degradation of the filters. Some apps also include a real-time monitoring of air quality, which lets you see how good or bad the air is inside your home at any given moment. Clean-Cel Anti-Bacterial Treatment – This treatment prevents the growth of bacteria, mold and fungi on an air filter. This extends the life of the filter and reduces odors caused by these microorganisms. Smart Sensors – These sensors monitor the air quality within a room and tell the air purifier how to adjust itself in order to eliminate the pollutants. Commons types of smart sensors include ones for dust and odors. When high levels of either of these contaminants are detected, the air purifier will adjust automatically to combat them. Light Sensor – This sensor monitors the light levels inside a room and when it gets too dark, it triggers the air purifier to go into sleep mode. Sleep mode is a quieter, more energy-efficient operation for night time use. Electrostatic Collection Plates – See definition for Ion Generator (or Ionizer). In the list of air purifiers above, we tried to give you a glimpse of what each one’s specialty is and why it stands out as a top choice. The products on this page are truly the best of the best. If you’re looking to find an air purifier for a specific need, and want to know what all of your options are in this regard, we also have several guides that are written for that very purpose. Take a look at our topic-focused articles below to find out more.